More U.S. students are encouraged to study in China to gain a competitive edge in a globalized world, a U.S. educational official said in Beijing during a recent interview with Xinhuanet. Eduardo M. Ochoa, assistant secretary for postsecondary education at the U.S. Department of Education, said more U.S. students are encouraged to study in China to gain a competitive edge in a globalized world. Eduardo M. Ochoa, assistant secretary for postsecondary education at the U.S. Department of Education said the move will translate into reality President Obama's plan to bring 100,000 American students to China. 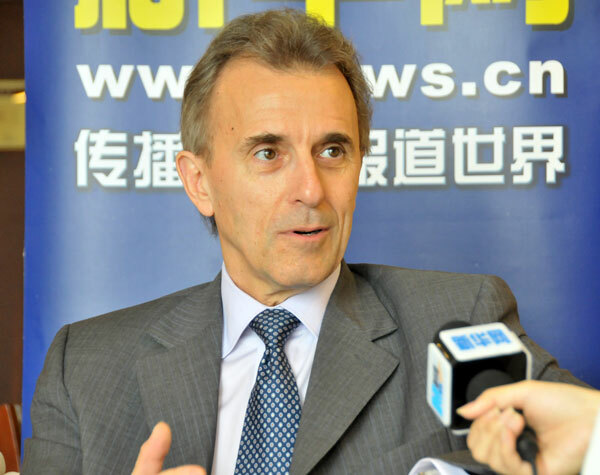 In an inclusive interview with Xinhuanet, Ochoa said, "Given the increasingly important role that China will play in the world in the years to come, it makes sense that if we want our students to be well-educated so as to be globally competitive, they need to understand Chinese society better and acquire language skills as well." He also expressed the hoped to see more cooperation between U.S. universities and their Chinese counterparts in the educational field. Ochoa, who is on a trip to Beijing, pointed out that a lot of U.S. universities have established academic programs in China and that the most recent and high-profile one is New York University (NYU) plans to open its first standalone campus in Shanghai. Ochoa was very excited at NYU becoming a global university. "If you are a NYU student, it won't matter which one is your home base, you will be at home anywhere in the world in the multiple campuses." Ochoa noted. "So that's very interesting. But basically, it is the university that has already taken the lead and tends to be the top-gear university," he added. Ochoa noted that U.S. welcomes international students as a lot of Chinese students have come to the United States. He said, "From the standpoint of national interests, I think we will be particularly interested in seeing international students present in a wider spectrum of American institutions, and it enriches the education experience of our own students if we have more international students." Asked about his understanding of the postsecondary education in China, Ochoa said he thought they're going about quite well and they are in a learning curve. "They are retracing some of the steps that occurred in the U.S. educational system, for example, building up research capability, strengthening the professional scholarship faculty, and those sorts of things," he explained. Ochoa proposed that Chinese universities should not get too fixated on rankings, noting that he thought a high education system does need to have different kinds of institutions serving different segments of society, so they do have different missions. He said: "And so you have to be clear about what your mission is, and then figure out what standards of excellence to achieve that mission are. It makes no sense to rank a community college compared with Harvard or Yale, because they are doing very different things." When sharing his view on the difference between education in China and that in the U.S., Ochoa said Chinese high education is more planned and structured, by the government, whereas, in U.S., even the state universities tend to be independent in the relationship between the universities and the states' governments. He acknowledged that to some degree, their differences are narrowing a bit. "The federal government is beginning to play a more important role in high education than it used to. And in China, I see there is a movement of decentralization to some extent. So it's interesting. There is maybe an ideal balance there," Ochoa said. Asked to share his view on the happy medium of educating children, he said that he does not support the way of investing all the parents' wishes and hopes in their children, since this will not be conducive to developing their own lives. Instead, the children will become a vehicle for parents' wishes. "Sometimes, there is a violent clash between the nature of a child and the wishes of the parents, and it can lead to tragedy," Ochoa warned. He asked Chinese parents to be sensitive to a child's nature and what the natural strength and interests are. He also suggested the parents should instill their children with a sense of strive for excellence, and a sense of accountability. "If you want people to think highly of you, you have to do something to deserve it," he said.